Ralph: I felt that I had something interesting to say and thought that by writing a book that it would be read by people who would be interested in the subject matter. Ralph: “The Cold War: A Remembrance”, “The Autobiography of Eve”, “The Autobiography of Eve: Empire”. Ralph: Since I am deeply involved in another and completely different project, I am not currently paying much attention to marketing, although I occasionally get a sale or two from the exposure that I first developed. Ralph: A couple, but I have forgotten what they were and I suspect that they would be out of date by now. Ralph: Hitting the promotion trail and sticking with it. Ralph: Be prepared to NOT hit it rich right away. it will take time and maybe even not pan out, but at least you will have something to leave as a good legacy. A little music, if you please. I’ve always had music intertwined with my life, Born in the middle of the 1930‘s depression and spending my formative years during the cataclysmic World War Two era, I was surrounded by the glorious music of the forties; the show tunes, the classical music, the love songs, the martial music. It has had a lasting effect on the things that I do and the way that I live. Early on, I found that writing was a great way for me to meet some of the responsibilities of school. I received praise from an English teacher in high school for an essay that I had spontaneously composed. It inspired me to continue, but the draft intervened. After a four year period in the Air Force during the Korean “Police Action”, I attended UCLA film school, studying under such luminaries as Jean Renoir, Alfred Hitchcock, Stanley Kramer and many other award winning directors and producers. I made my way, albeit sometimes somewhat shakily, through the sixties. My output during those times consisted of educational, documentary, industrial and short entertainment films, which I usually wrote and produced. Some of my clients included CBS Educational, Encyclopedia Britannica, Rocket dyne, Lockheed, Volkswagen of America and Nissan. The next phase of my life centered around developing and operating an Electrical Contracting business in Los Angeles, something which fit into my background of engineering which I had acquired at the University of Denver right after I left the Air force. 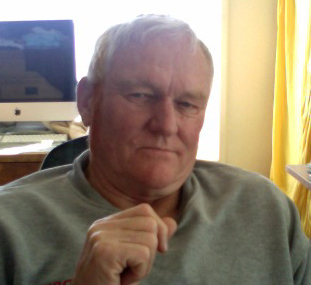 I was a State of California licensed Electrical Contractor until 1999, all the while keeping my hand in the film business by writing and producing home-made backyard films. In 2008, I began a script than dealt with the Cold War, a period which I know intimately. After developing the idea, I realized that it would have to be a rather longish film, so I decided that it would be best treated as a television series rather than one long film. 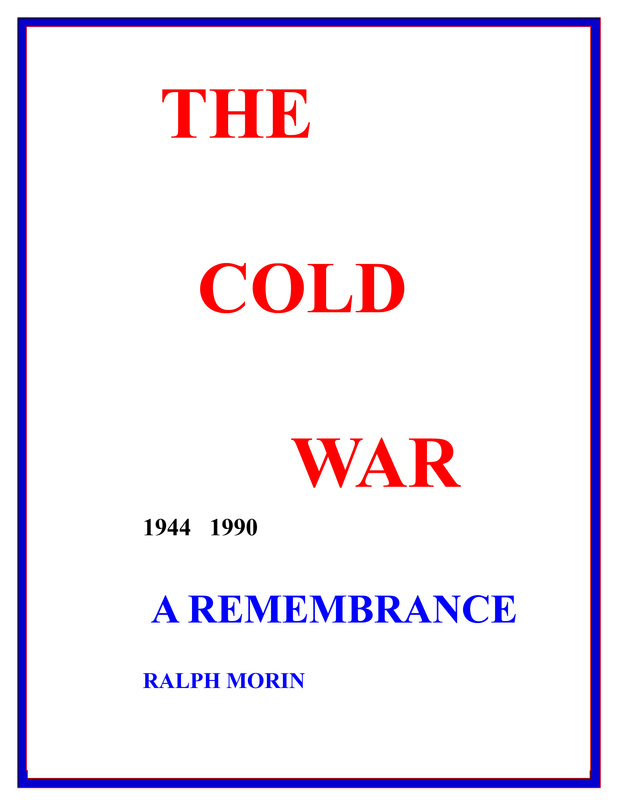 The more I wrote, the longer it became; after all, the Cold War period ran from the mid 1940’s until 1990, about 45 years. After the script was finished, it dawned on me that if I ever hoped to get it sold, it might be a good thing to start as a book and continue from that point of view, and so I wrote the book from the script. In the book, “The Cold War, A Remembrance”, my character, Walter Vorley, always carries his music with him in his head. Sometimes it’s repetitive (i.e. Bolero), or sometimes it plays straight through a song or a short phrase. Walter is a photographer and he is there to record the events of the Cold War Years. His life, his family and the political events that surround him during the telling of the story, culminates with the fall of the Berlin Wall and the collapse of the Soviet Union. It is my hope that this little known and less understood era can be brought to life and told to as wide an audience as possible.